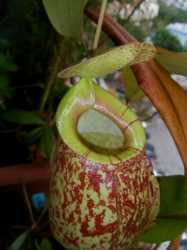 Selling Nepenthes, Sundew, Live Sphagnum Moss, Venus Fly Trap and others type of Carnivorous Plants CP. Price is $5 and above. Blue Swivel Chair at $ 20. One year use and in good condition. Please arrange your own moving service. If interested, contact Rhean 9223 6168. EXECUTIVE OFFICE CHAIR FOR SALE!!! Ikea Office Desk and Drawer Unit (Micke) in great condition. Used for less than a year. Selling it due to relocation to a new house. Ready for pick up. Selling IKEA Computer for a very attractive price. Pls contact now before it is SOLD OFF. Proud Home Owner Moving Out Sale! For Sale: Various Quality/Branded Household Items in Very Good Condition! One stop furniture guru shop and quality mover!